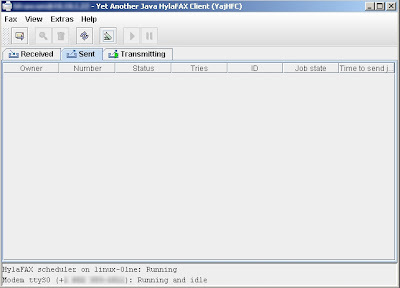 I was having troubles setting up WHFC, and JHylaFax didn’t have all of the cover page variables I needed, so I took to looking around for a new HylaFax client and found YajHFC. So far, it is indeed better than JHylaFax, and WHFC. It is cleaner, and more customizable. One thing that I would like to see in YajHFC, is a customizable user preference location. When you run it from where you install it, it generates a preferences file. When you run it from the printer redirect, it creates a new file in a different location.